Understanding Kohl’s Coupon Codes is important and can really save you loads of money if you’re able to take advantage of all of the coupon codes available for use on the Kohls.com site. Head HERE to check your Kohl’s savings for today — during this Mystery Savings Code Event you’ll get a coupon good for 20%, 30% or 40% off! AND earn *1* Yes2You Rewards Points for every $1 you spend – for every 100 Yes2You points you earn, you get a $5 Reward! First, department-specific dollar-off or percent-off promo codes will be applied to the qualifying items. Then, any dollar-off coupons (like Kohl’s Cash and Rewards Cash) will be subtracted from your subtotal. Lastly, the ONE sitewide percent-off discount will be applied. 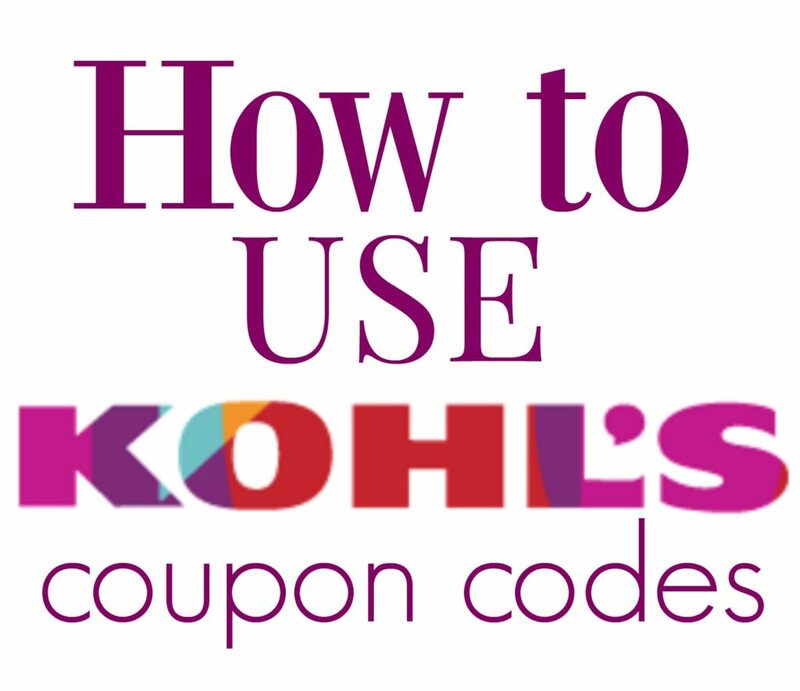 This image on how to apply Kohl’s coupon codes has always worked well for me, I hope it helps you. Only ONE sitewide percent-off promo code can be applied to an order. MULTIPLE dollar-off coupons (like Kohl’s Cash and Rewards Cash) can be added to an order. MULTIPLE department-specific dollar-off or percent-off promo codes can be applied to an order. ONE sitewide percent-off promo code CAN be combined with MULTIPLE department-specific dollar-off or percent-off promo codes, but are applied separately (see details below). Sitewide dollar-off promo codes CAN be combined with sitewide percent-off discounts, but cannot be combined with similar offers. A free shipping promo code CAN be combined with ANY other promo codes or discounts on your order. Shipping promo codes are handled separately from other promo codes and coupons that apply to the merchandise on your order. 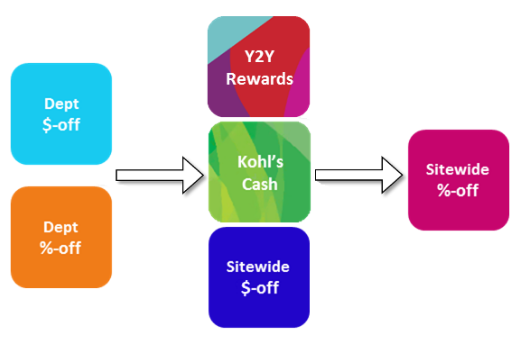 When it is Kohl’s Cash time (you can see Kohl’s Cash times here) you will earn $10 for every $50 spent online at Kohl’s.com or in-store at Kohl’s. When it is Kohl’s Cash redemption time (dates here) you can redeem your Kohl’s cash on any purchase – sweet! If you earn Kohl’s Cash® online or at a kiosk, your Kohl’s Cash® will arrive via email. It will be sent to the email address provided during the checkout process. If you are signed up for Kohl’s Sales Alerts with a different email account, your Kohl’s Cash® will not be sent to the account at which you receive Sales Alerts. 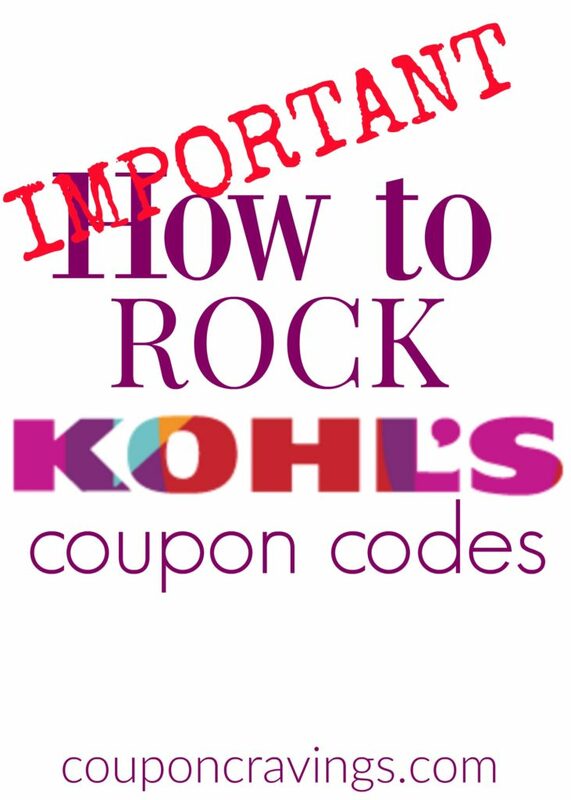 And I love it that you can print, email or download your Kohl’s Cash right from Kohls.com! Also, Kohl’s Cash® can be redeemed online or in store*. If you prefer not to print your Kohl’s Cash® email, the Associate can scan it from the email on your mobile device, or in the Kohl’s App. Sweet, right? *The promotion dates are based on Central Time. Now that we’ve got all of the Kohl’s coupon code rules together, head over here to see all of the Kohl’s deals! Remarkable things here. I am very satisfied to peer your post. Thank you a lot and I am having a look forward to contact you. Will you please drop me a e-mail? I just want to mention I’m all new to blogging and site-building and certainly enjoyed your blog site. Very likely I’m planning to bookmark your site . You really have awesome posts. Bless you for sharing with us your website. Virtually all of what you state is astonishingly precise and it makes me ponder the reason why I had not looked at this with this light previously. This article truly did turn the light on for me as far as this particular subject goes. But at this time there is actually 1 factor I am not necessarily too comfortable with and whilst I try to reconcile that with the main theme of the position, permit me observe exactly what all the rest of your visitors have to point out.Very well done.